Hakchi2 is constantly being updated with new features and bug fixes. 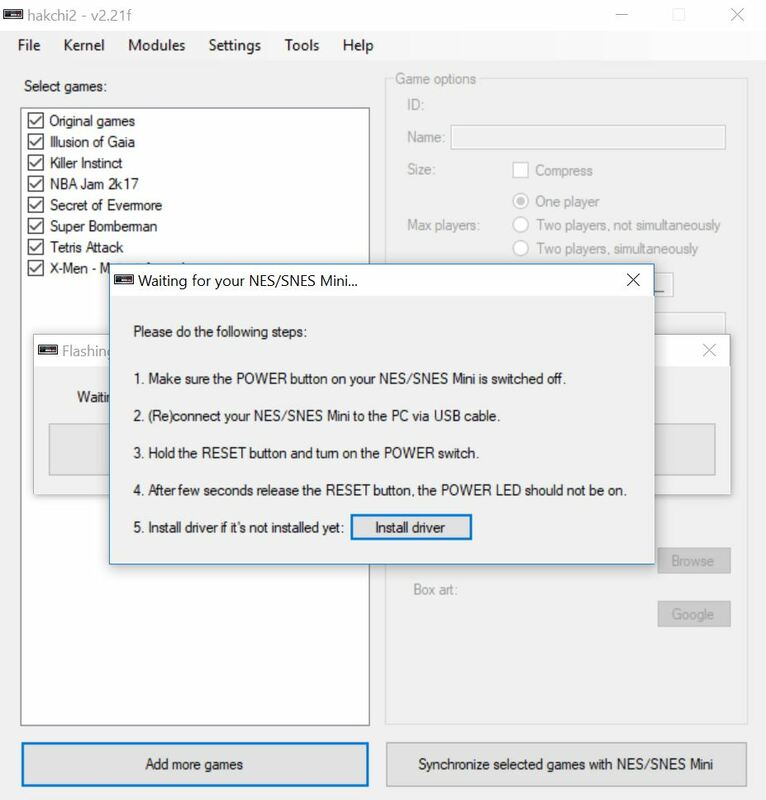 This tutorial will show you how to correctly update hakchi2 to the latest version for your SNES Classic Mini without losing your data. 1. 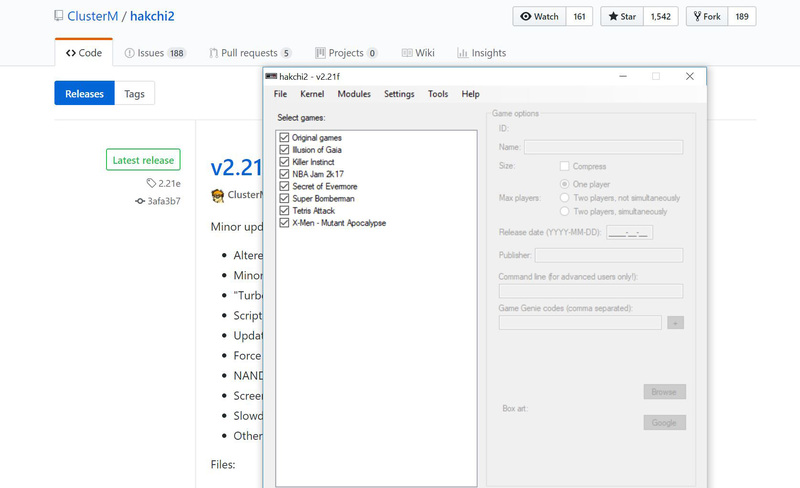 Download the latest version of hakchi2. 2. Rename your old hakchi folder to something else (example: hakchi_old) if you're extracting the new hakchi file into the same location. 3. Now extract the new hakchi file. 4. 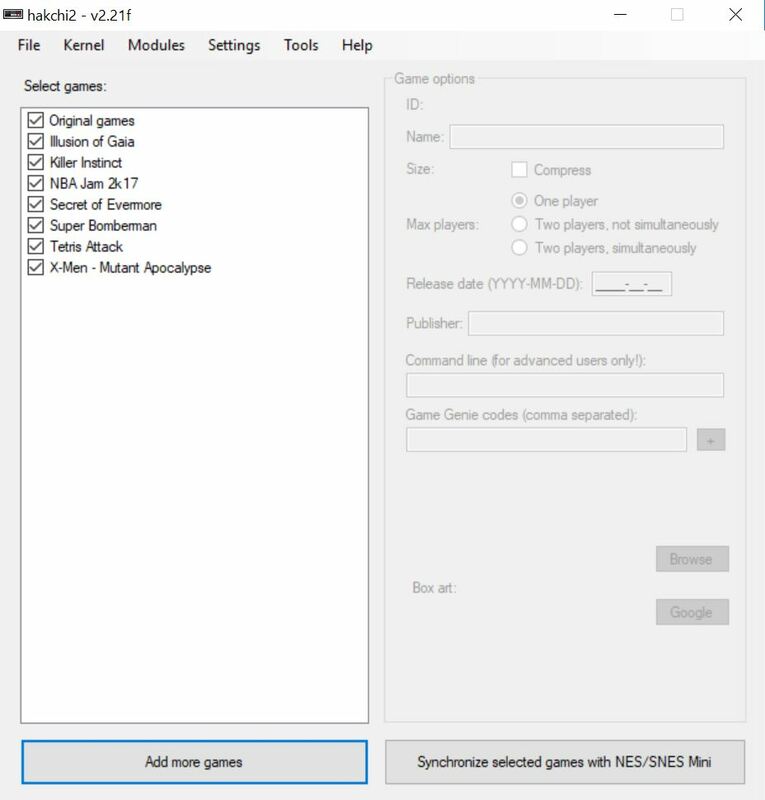 Copy the "config", "dump", "user_mods", and "games_snes" folder from the old hakchi folder into the new one. 5. Run the new version of hakchi2. All of your games and artwork should have transferred over. 6. Go to Kernel and Flash custom kernel. Hit Yes. 7. 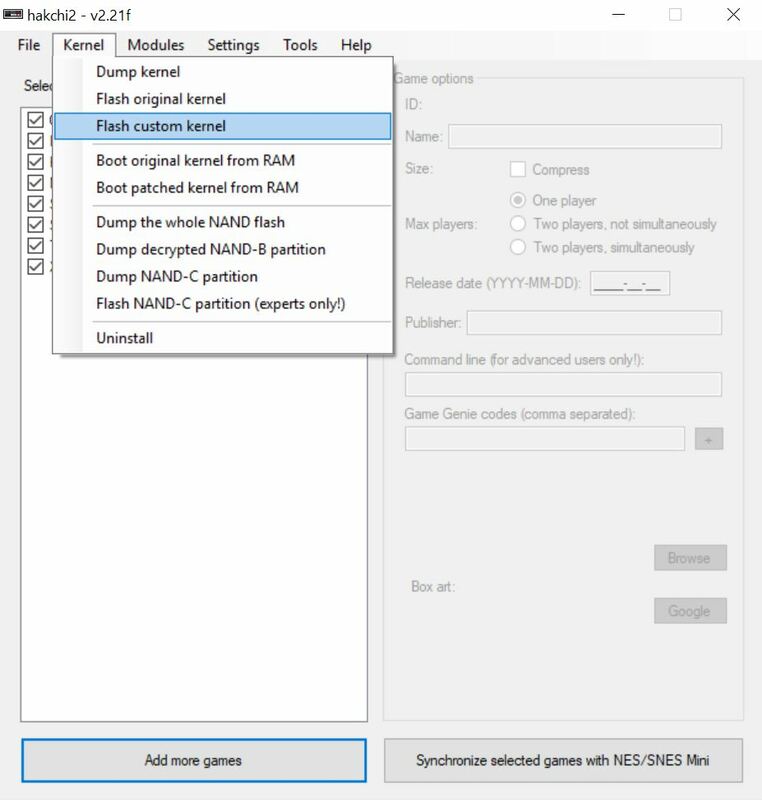 Make sure your SNES Classic Mini is connected to your computer and follow the instructions on the hakchi screen. You are now on the newest version of hakchi. Repeat this process when a new update is available if you want to update. Please note that if a version of hakchi is working fine for you there may be no reason to update. Read the release notes for each version to see if it is worth updating. If you have any questions please let us know in the comments field. © 2019 SNES Classic Mini Mods & Hacks. All rights reserved.